The first point where a breach can occur is the entrance of the facility – this is likely the place a troublemaker will attempt to disguise themselves and enter the premises. Understandably, you need the entrance and exit points of the facility manned by professional, highly experienced guards who can detect the first sign of unusual activity and prevent a security breach from occurring. There are times when the guards can miss things because of the sheer number of people entering or leaving the premises at any given time. A hospital is a busy place and so it is hard for the guards to keep an eye on everything that’s happening. Metal detectors can be used as an additional layer of protection to ensure that no weapons or other dangerous objects are taken inside the premises. Security camera systems are a must when it comes to protecting any public place. First of all, the entire building and surroundings can be monitored from the control room by the guards. How? Through security cameras that have been installed and set up all around the premises. If the guards on duty notice any suspicious activity in any part of the building, they can send a team of security officials down immediately to diffuse the situation. Guards that patrol the building and the ground regularly play two very important roles in the security of the healthcare facility. 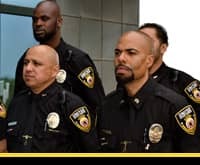 Firstly, they will cover the entire area multiple times a day and will notice any criminal activity or unruly behavior and deal with it immediately as they will already be present on the spot. On top of this, uniformed guards making rounds act as a deterrent to crime as they will scare troublemakers away before they even get a chance to commit a felony. These systems are only essential for the top-priority areas that require the most protection. These could include rooms/systems that are home to confidential patient records and information, dangerous chemicals or high profile individuals that are being treated at the facility. Only authorized personnel can be provided with cards or pin codes allowing entry, depending on the kind of system you decide to go for. Healthcare facility security is not a joke. As the owner or security manager of a hospital or clinic, it is your job to ensure the safety of everyone within the facility, whether they work there, are patients or are loved ones visiting a patient. So don’t wait around – choose the best services according to your unique needs.